*Corresponding author. Tel. : +86 10 58807812; fax: +86 10 82025600. E-mail address: maoxq@bnu.edu.cn (X.Q. Mao). Based on the China National Pollution Source Census database that has been updated to 2012, and the China High Resolution Emission Gridded Data Version 1.0, a 1 km × 1km finer resolution emission gridded database of CO2, CHRED 2.0, is developed. 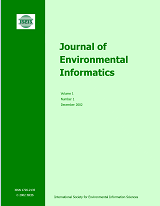 In the paper, the method, the data sources, a conceptual foundation for the data analysis, and an application in a spatial pattern analysis of CO2 emission for China are described. For the development of CHRED 2.0, the strict control of data quality and computing processes plays an important role in providing accurate data, highlightting the characteristics of high accuracy, direct verification, and indirect validation of essential data, mature and reliable mapping methods, and the precise spatial location of longitudinal and latitudinal data. The trial application of the China High Resolution Emission Gridded Data Version 2.0 proves its superiority in terms of reliability and suitability at the macro scale as well as at provincial-, city-, prefecture- and county-level CO2 emission estimations, spatial distribution analysis, and emission reduction plan making. The system is superior because the high-definition accuracy can split emissions between neighbor provinces, cities or counties, and the emission responsibility can be correctly allocated. Thus, the emission reduction plan and countermeasure can be established and taken in an environmentally rational and viable way.